Oh my! What a night Mark and I had last night! 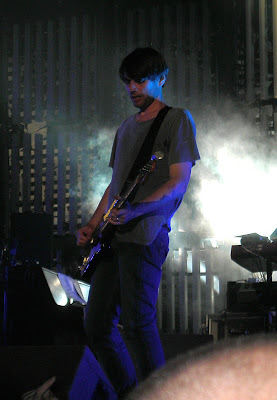 First we saw the fabulous Klaxons support the Mighty Blur and then Blur themselves. 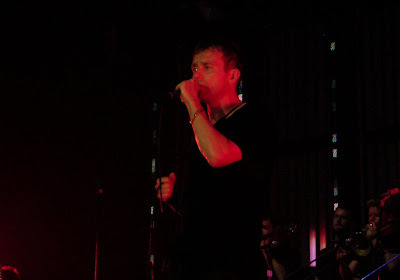 The M.E.N is a great venue and boy does it get crowded but we went early and managed to get really close to the bands. 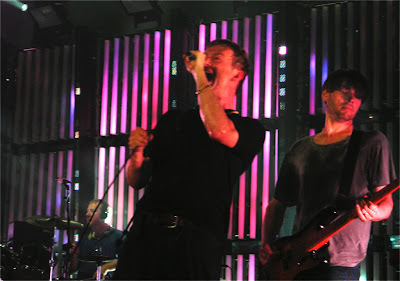 Blur were Fabulous, singing old classics such as 'There's no other way' and 'She is so high' to rip roaring newer hits like Coffee and TV and the belting 'Song 2'. Damon gave tribute to the late Michael Jackson expressing his sadness and concern over media speculation throughout the stars life. The band seemed genuinely pleased to be back on stage together and didn't leave me feeling disappointed with their full two hour performance, including encore! One word... WOW! For more of my pictures from the Gig, click here!